What is the Green Ambassadors Program? 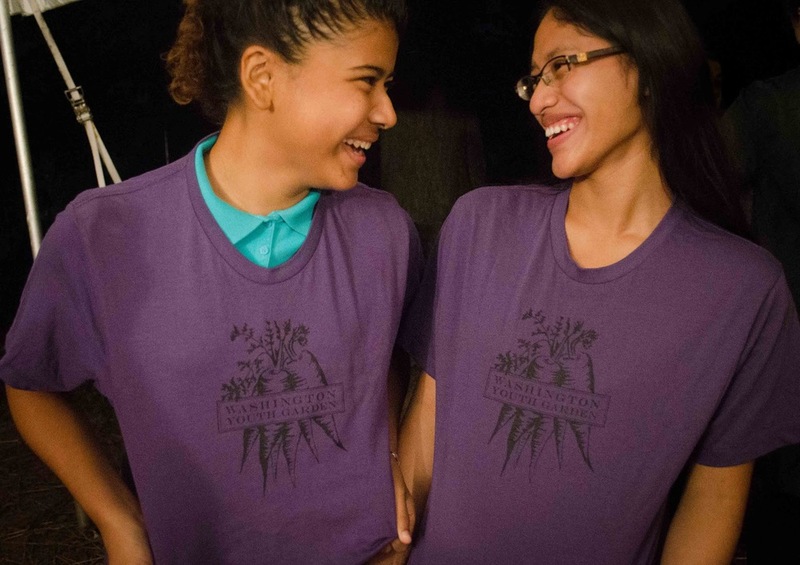 Our Green Ambassadors Program centers around a 6-week summer high school internship located at the demonstration garden at the US National Arboretum. Interns learn how to garden, prepare and eat healthy produce, visit and learn about other green organizations and the jobs they offer, lead student garden field trips, participate in structured communication skills training, and experience an incredible, outdoor summer. We maintain a small annual cohort size to build a tight-knit community and to ensure that every intern experiences personal growth. The Green Ambassadors Program is sponsored by the The Reva and David Logan Foundation and the Cedar Tree Foundation. The application for the 2019 season is due April 14th. WYG is a host site for DC’s Summer Youth Employment Program and the Career Ready Internship program, offered at select high schools. Through these partnerships we hire 15 students annually join our team as Green Ambassadors. Some positions will be available for youth applying who are not a part of SYEP or CRI. To be considered, students must be rising sophomores through graduating seniors, be able to commit to the full 6 week internship, and have a desire to work in and learn more about the field of urban agriculture, cooking, and/or environmental advocacy. To apply for the 2019 season, please fill out the online application, due by April 14th. No prior gardening experience is required; just a desire to work hard, learn, and contribute to a team. The job will be based out of WYG’s garden, located inside the US National Arboretum. Work hours are Tuesday-Friday from 9 am – 3:00 pm, starting June 25th and ending August 2nd, 2019. There will also be an orientation on Saturday, June 1st. What does an intern get out of the experience?